Singapore-based dye manufacturer has launched a new concept for denim that allows salt-free dyeing with a strong effluent load reduction as part of its efficiency programme aimed at reducing water, waste and energy consumption during denim dyeing. Cadira Denim is the sixth concept of the company's 'Resource Efficiency Program', which Dystar says will help brands and retailers and their production partners save valuable resources, to reduce the carbon footprint of their textile goods and to increase productivity by improving the utilisation of machinery. Using a combination of its pre-reduced liquid indigo dyes and its reducing agent Sera Con C-RDA, Dystar says it allows for salt-free dyeing with a strong effluent load reduction. 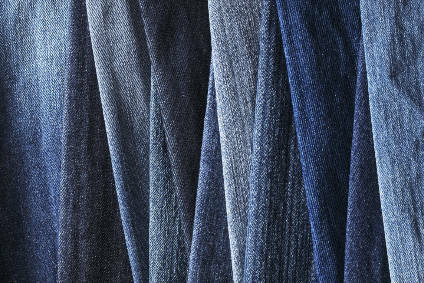 Using a combination of its pre-reduced liquid indigo dyes and its reducing agent Sera Con C-RDA, Dystar says it allows for salt-free denim dyeing with a strong effluent load reduction. It explains: "Sulfates can be reduced up to 95% compared to dyeing with indigo powder in combination with the conventional reducing agent Sodium dithionite (Hydrosulfite). Chemical Oxygen Demand (COD) will decrease up to 80% compared to dyeing with indigo powder and Hydrosulfite. [And] total solids can be reduced up to 90% compared with indigo powder and Hydrosulfite." Cadira Denim also reduces substantial waste quantities from the ETP´s (effluent treatment plants) because no additional salt is created. DyStar says it will soon provide additional concepts for more resource efficiency and productivity in the textile production. As the first concept of the Cadira module, Cadira Reactive was launched at Interdye Shanghai in April 2016 followed by Cadira Polyester, Cadira VAT, Cadira Recycled Polyester and Cadira Wool.